Whether the holiday warrants formal social gatherings or a friends-only dim sum feast, there’s truly no better time to swipe on a crimson lipstick. To many of us, red represents the colour of love and passion. But not to forget, red is also the colour of life for Gabrielle Chanel herself. 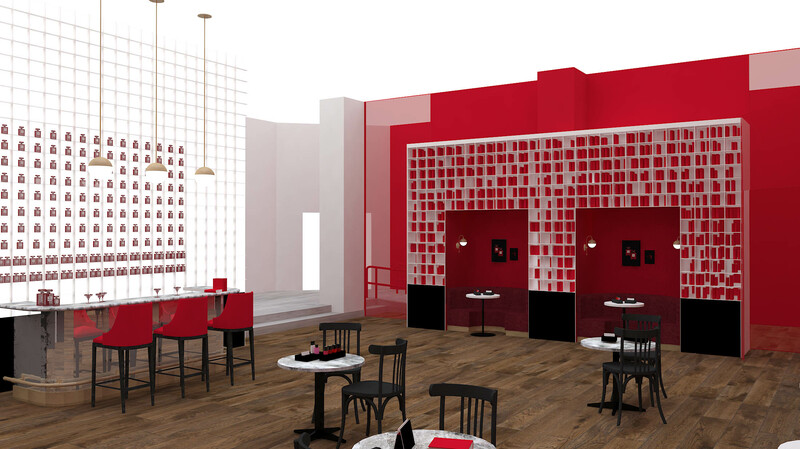 CHANEL presents LE ROUGE, that’s scheduled to open in Singapore from 17 – 21 October. This exclusive beauty pop-up will consist of three showrooms, each unveiling the creative process behind a particular product. In 1924, she turned an intense vermillion red into her first signature lipstick which was a symbol of courage and passion. What better way to pay homage to the brand’s iconic colour than a pop-up store dedicated to exploring red in a myriad of textures and forms. In conjunction with the new Rouge Allure Velvet Extreme and Rouge Allure Liquid Power – the French fashion house will be launching its third pop-up concept in Singapore. 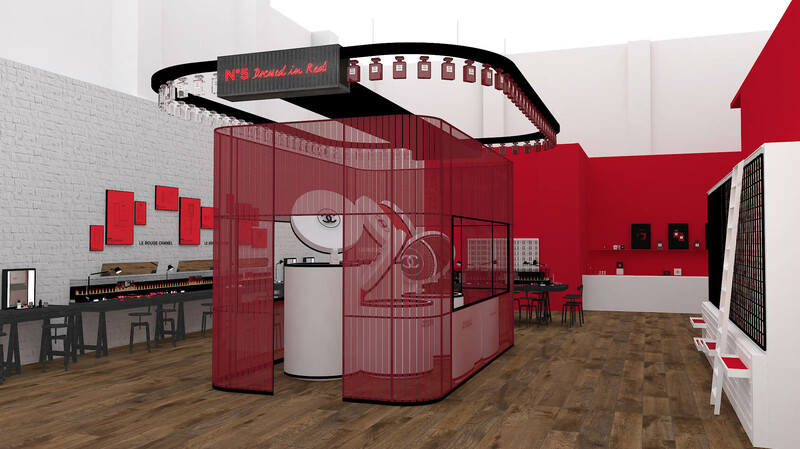 That being said, the LE ROUGE pop up will feature its very own Red Factory where you can expect an infinite array of lipstick and nail polishes. Beauty lovers can see and play around with the brand’s iconic red makeup and learn more about the process behind the creation of your favourite Chanel makeup. Perfect for the gram, there are plenty of IG-worthy photo opportunities such as large industrial tanks filled with lipsticks, nail polishes in an acrylic red cage and a wall of lips that hides a passageway coloured in red. 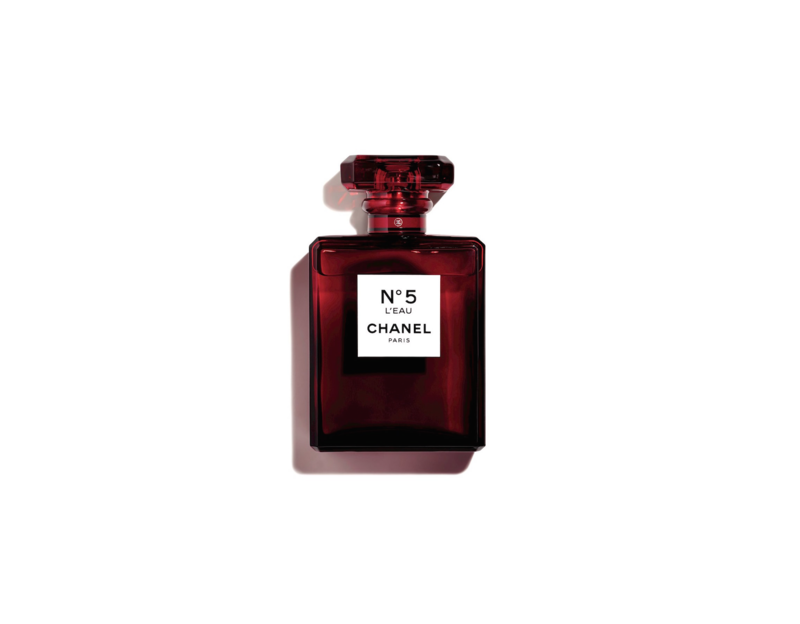 Be one of the first few to discover and own the coveted red edition of Chanel N°5 L’Eau and N°5 Eau De Parfum, which will be exclusively pre-launched at the pop-up. The iconic N°5 bottles will be swapping its usual clear flacon to a crimson hue. You definitely won’t want to miss out on this! Guests are also treated to the sight of the Red Bar, reminiscent of a covert lounge. Spritz some of the limited red edition Chanel N°5 on yourself before sipping on a red cocktail specially concocted for this event. So save the date and make sure to swing by CHANEL LE ROUGE pop-up store for an experience like never before. The pop-up will open to public from 17 – 21 October, so it’s best to register your attendance here to secure yourself a slot into the store. Calling all Chanel fans, swipe on your best red lipstick and paint your nails red this October. It’s what Coco Chanel would have wanted.